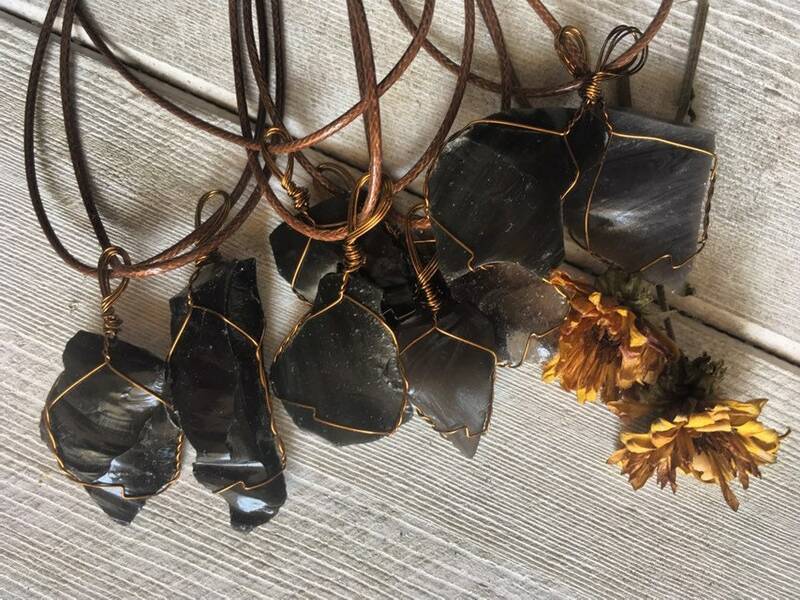 Obsidian Wire Wrapped Pendant By Enlighten Clothing Co Protection Stone. 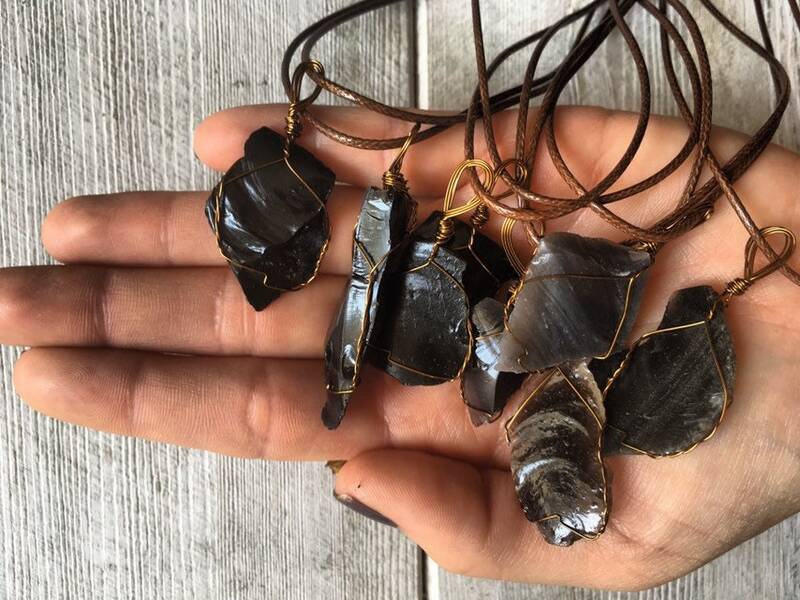 Obsidian is a powerful protection stone. This stone deflects others people’s energy, keeping you safe from negative energy other may be surrounded by. This stone also helps bring clarity in situations of deception. This stone is for one listing.